Free access to the members area is granted when you submit your site for free! SocialSubmissionEngine.com is a neat tool that helps build traffic to your website by assisting with your social media promotion efforts. Get exclusive free access to the members area and inside use the arsenal of tools and services to help promote all your websites and pull in lots of new visitors to your site. Use our free web based members area to promote your website to all the top social & web 2.0 sites across the internet. Use our unique set of free members tools to do all the heavy lifting and help make the social promotion of your website quick & easy. Our free members area contains resources to help you plan your social media strategy and inside you'll find training videos, guides and infographics to assist you. As a free member we'll keep you updated on the latest social media traffic developments by email and the blog. How much does this service cost? Nothing, it's a free service, we earn an income through the cross promotion of related offers and website advertising. What kind of traffic do we generate and how do we do it? Inside our free members area you'll find a range of software tools and informative guides that will teach you how to create high quality desirable content for your site that naturally attracts new visitors and will also help to submit this new content to social media sites and other sites intrested in sharing your content with their members. 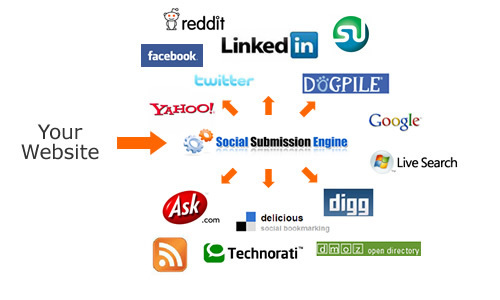 Here's what some of our recent users thought about the Social Submission Engine.